Life is all about the simple stuff when you are small – and I think we sometimes forget that. 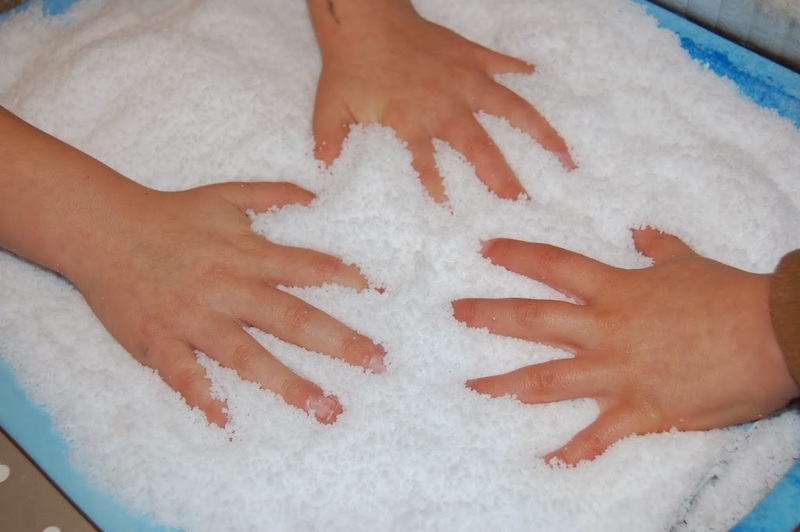 This week, we have been playing with ‘Magic snow’ – have you ever seen this stuff? It’s great! 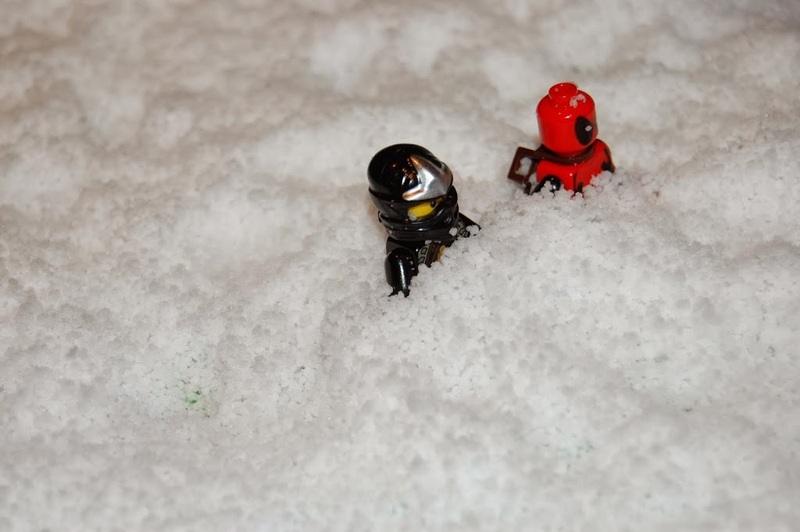 Its just a powder – you add water and it turns into snow. Hard to explain what it feels like, but its kind of powdery, soft and fluffy. It doesn’t stick to you, and it doesn’t make gallons of mess. Ideal really, and I have to say – the children love it. 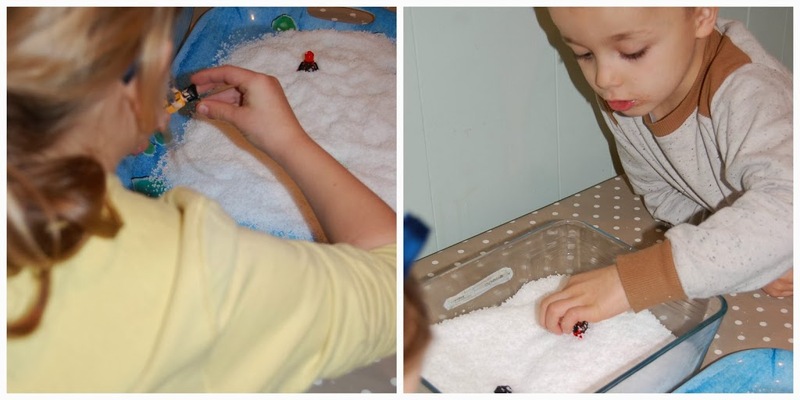 We piled our magic snow into tubs and poured it onto trays, and let the kids lead the way. 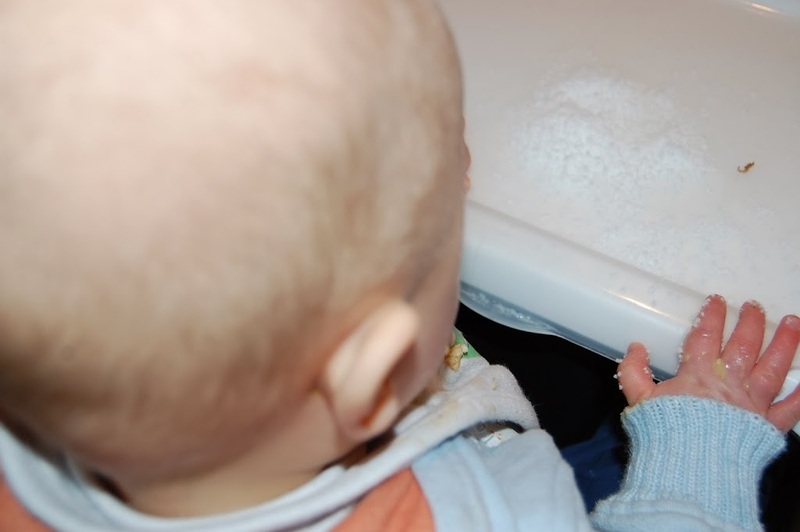 Even baby Max could join in with the magic snow fun and games. We just popped a handful on his highchair tray and let him explore! So next time your children utter the dreaded ‘I’m bored’ – remember the simple things can sometimes be the best for imaginative, creative play. So today, I am thankful for the simple things. This post is linked up with Thankful Thursday. We have some of this waiting for a rainy day, can’t wait to have a go with it after seeing your success! oh wow that looks like fun! We love magic snow. It’s currently in our sabd table as no way do I fancy snow in the house.